The new 2017 Jaguar XJ is now available at Jaguar Colorado Springs in Colorado Springs, Colorado! This technologically advanced and stylishly designed four-door sedan is visually appealing with a strong selection of interior and exterior features. The XJ comes in six different models ranging from the XJ R-Sport (MSRP $74,400) to the XJR LWB (MSRP $121,000). The XJ comes with your choice of four engine types depending on which model you choose. These include 3.0L V6 340HP supercharged, 3.0L V6 340HP supercharged AWD, 5.0L V8 470HP supercharged, and a 5.0L V8 550HP supercharged. If technological features are what you are interested in, then you won’t be disappointed. Each of the models has amazing options for features! These features include signature “J” front and rear LED lights, panoramic roof, rear seat 10.2-inch HD entertainment screens, Jaguar InControl® Touch Pro™, navigation, Meridian™ sound system, and many more. Each of these models has plenty of safety features as well. These features include adaptive front lighting, surround camera system, Queue Assist, traffic sign recognition, and much more. Stop into Jaguar Colorado Springs to learn more about this vehicle today! 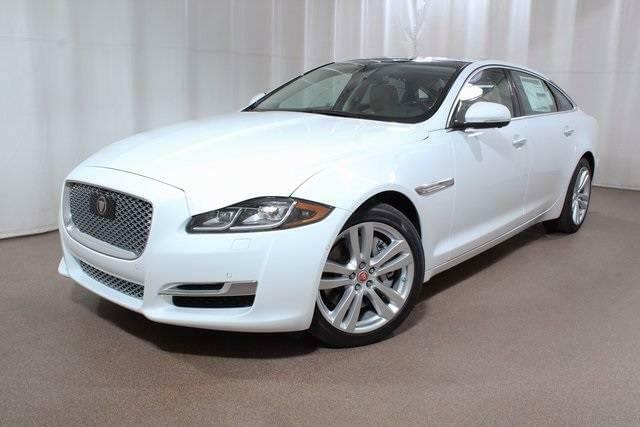 Our Jaguar experts can show you the exciting features that will make this luxury sedan a amazing choice for you. From a daily commute with unmatched luxury to a road trip you will never forget, this Jaguar XJ offers it all!